"Perfect end to a perfect day!" "What a DJ!! Couldn’t have asked for a better one." "Honestly he was amazing!!!! 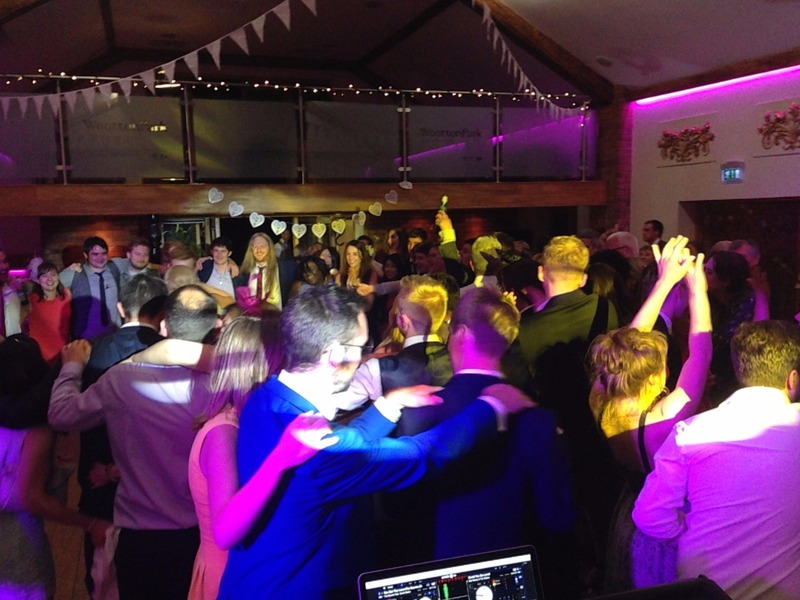 Right from speaking with him pre-event through to th..."
"Anthony was a fantastic DJ that kept us dancing all night"
"Excellent DJ who played a great set, perfect for our event"
"He was great - Highly recommended"
"Would highly recommend Anthony, he absolutely made our wedding reception!" 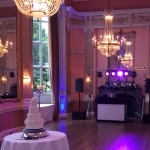 "Fantastic evening for our wedding"
"Anthony went above and beyond for us!" 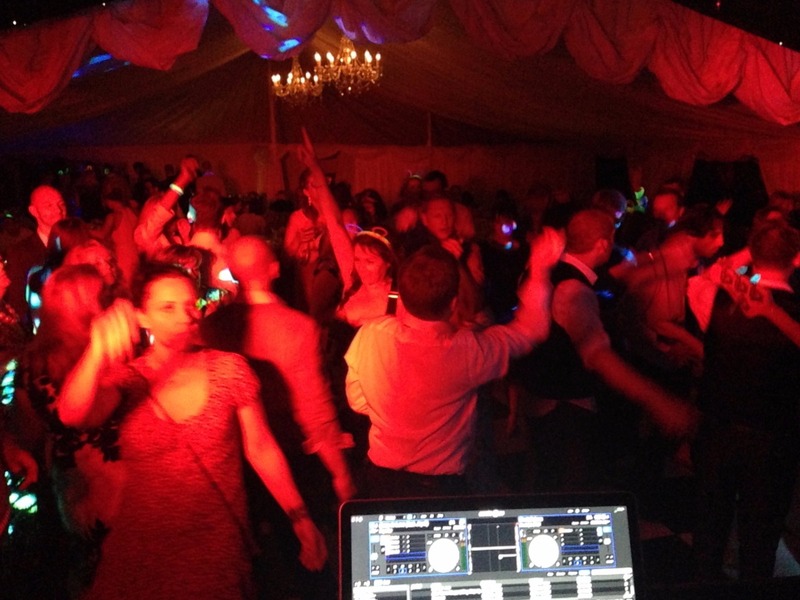 Professional DJ with over 12 years experience in live venues & events. 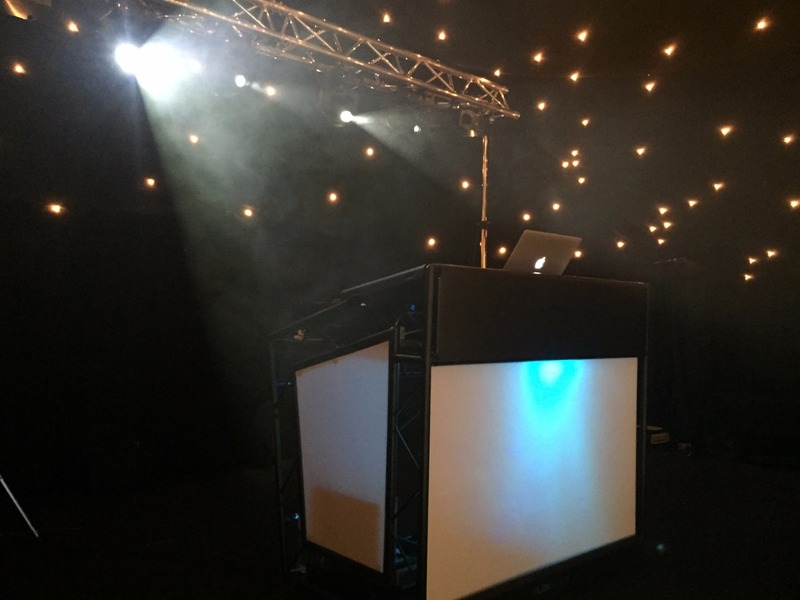 Suitable for all events Anthony has previously performed at many weddings and corporate events as well as Student Freshers & Christmas Balls, Young Farmers events, RAF & Army Bases for Sergeant & Officer events. 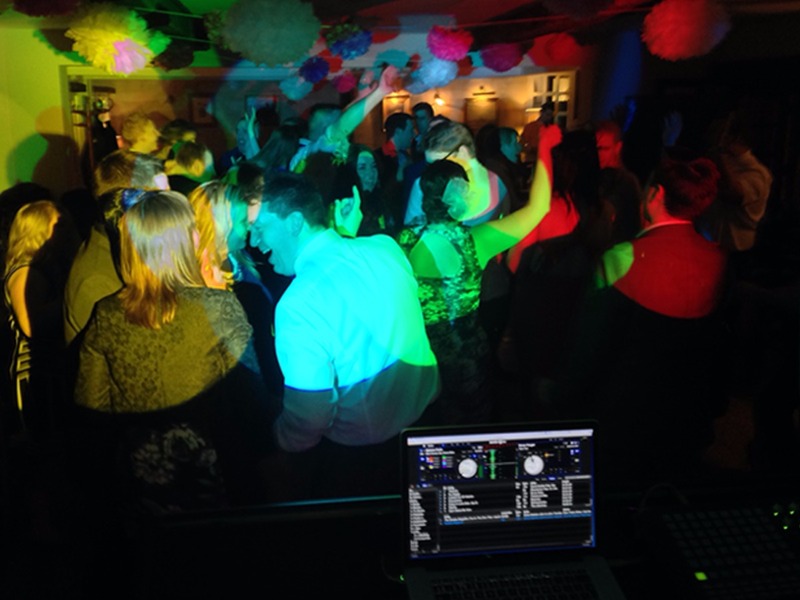 Full time DJ available 7 Days a week. Can easily work with & alongside bands/solo/duo artists etc. 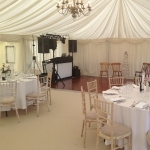 Music styles & genres tailored prior to your event. All equipment is fully PAT tested & covered with Public Liability Insurance. Requests can be taken on night. At all events he is smartly dressed for the right occasion. 45,000+ music collection all at CD quality. 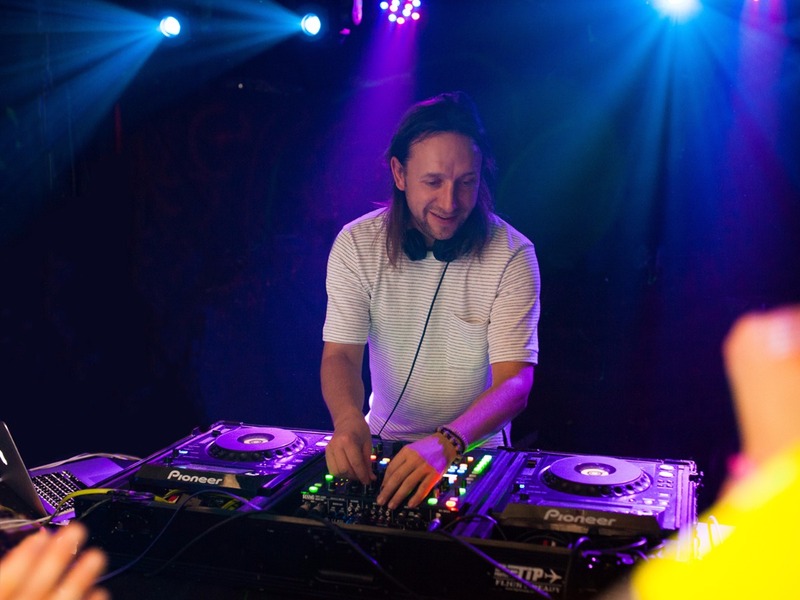 * Alive Network's most popular DJ. 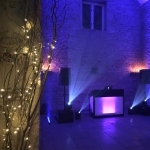 * Professional & highly experienced at all venues & events.  * Reliable, friendly & positive attitude on every occasion. 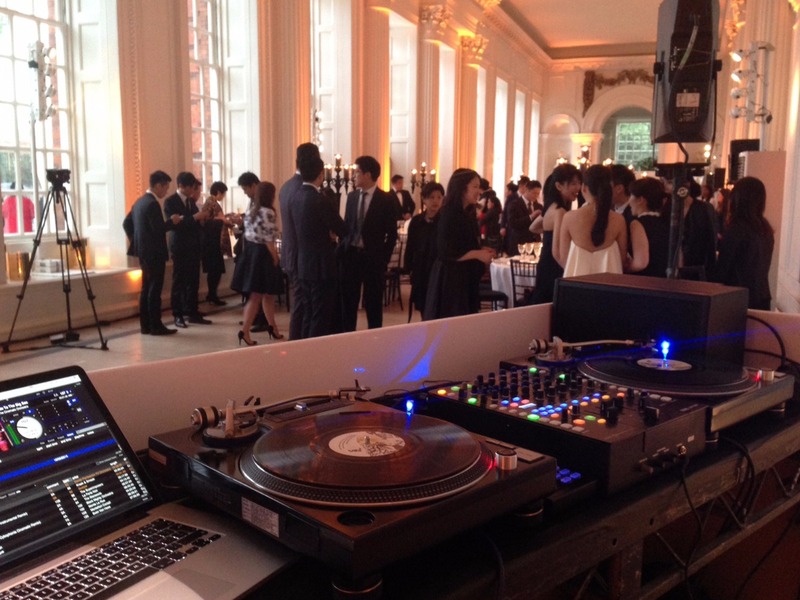 * Music tastes, styles & genres tailored for you & your guests. * Able to read the audience & fill the dance-floor. * Requests can be taken on night. * Vast knowledge & passion for all types of music. * Huge CD, Vinyl, Hi-Res collection. * Travels UK & internationally. 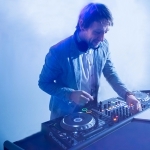 * Full-time DJ available 7 Days a week. * Can easily work with & alongside bands/solo/duo artists etc. 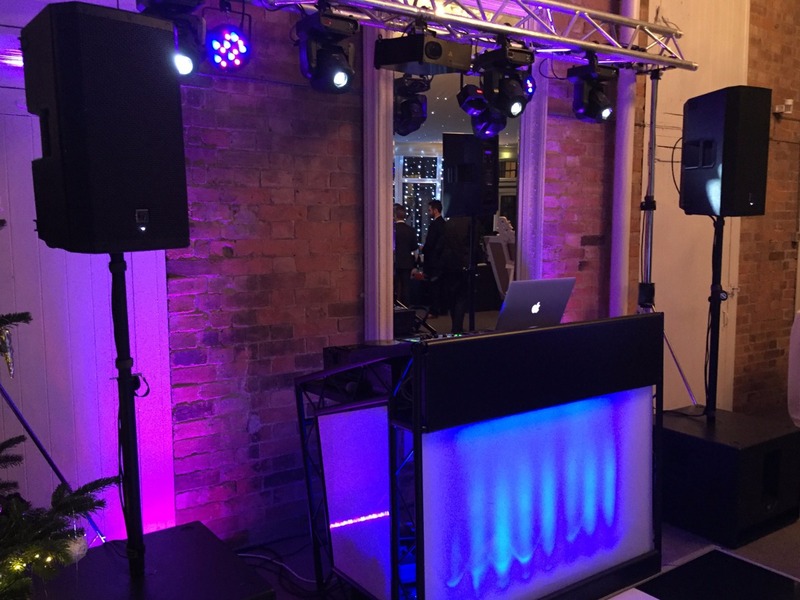 * Top of the range equipment: Pioneer DJ, KV2 Audio. 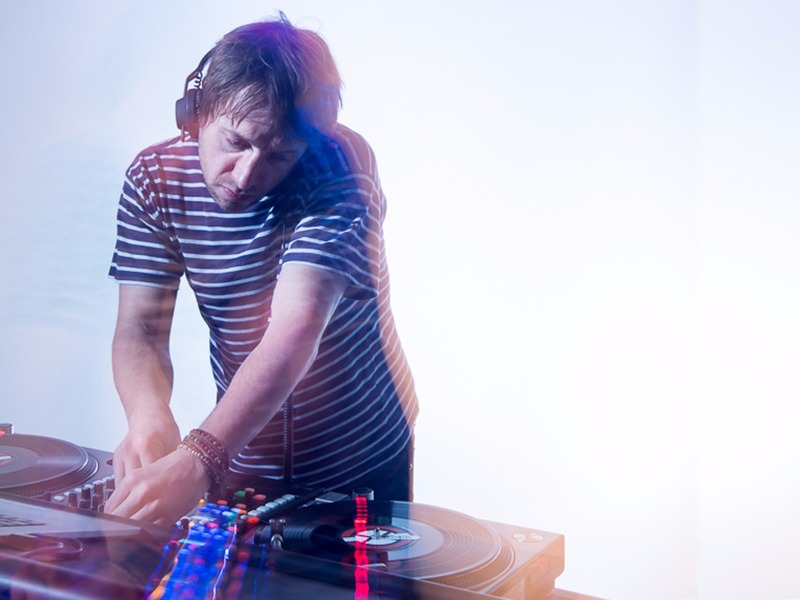 For more than a decade Anthony has been a full-time DJ across the UK & Internationally. 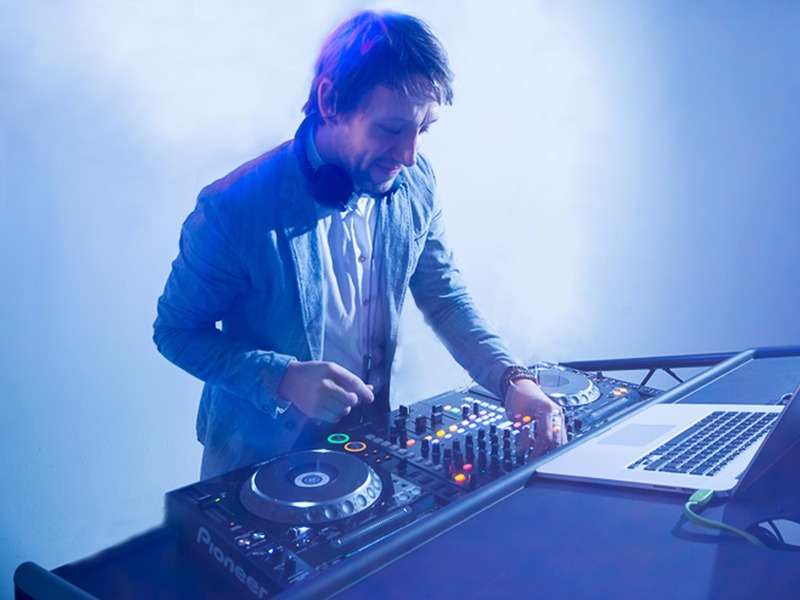 He has worked in other sectors of the music industry and has been heavily involved with original artists and cover bands at events, weddings, parties and club gigs since 2001. 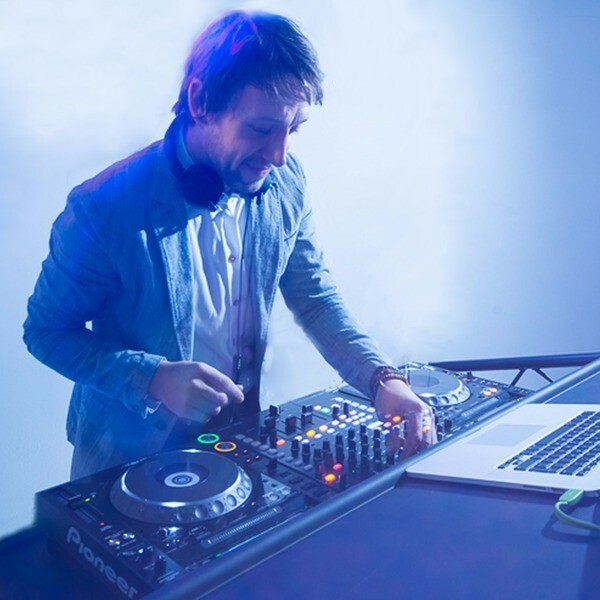 Anthony has a deep love and passion for music and prides himself and his DJing on his diverse, genre-spanning 100,000+ track collection. 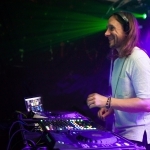 Always keeping up to date with current trends and releases to remixes, yet still diggin’ for re-issues, remasters and undiscovered gems which has become pivotal in his longevity and continuing growth as a DJ. 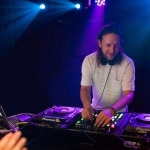 On the night Anthony mixes the set with logic flowing and weaving various styles and genres together to connect with diverse audiences keeping the energy going and the crowd dancing! 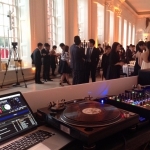 Seasoned in wedding and private events, he can seamlessly move from casual chilled cocktail party into dance party madness. 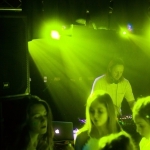 Anthony has worked alongside many bands, warming up the evening, filling in between sets or to taking the party up a notch into the early hours. 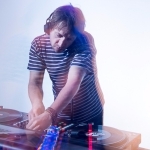 He has also had the enjoyment of being joined by onstage by saxophone players like Dan Goode, Dax On Sax to percussionists and smooth soul vocalists during his requested Club Classics & House sets.. 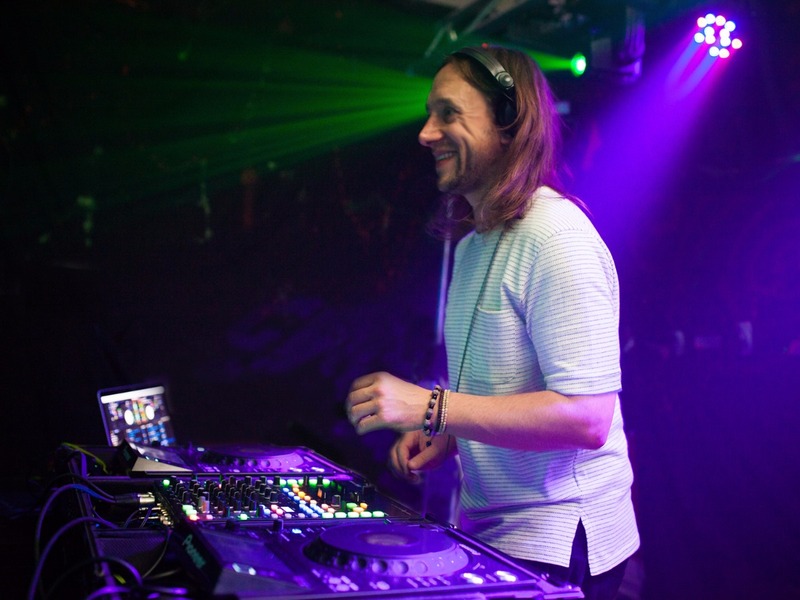 Whether rocking a dance-floor, making mixes and edits in his studio Anthony is constantly looking to pushing the boundaries of his own music taste & styles and adding new material when required to keep his DJ sets surprising and fresh. Anthony doesn’t take himself or what he does too seriously, just the way in which he does it. 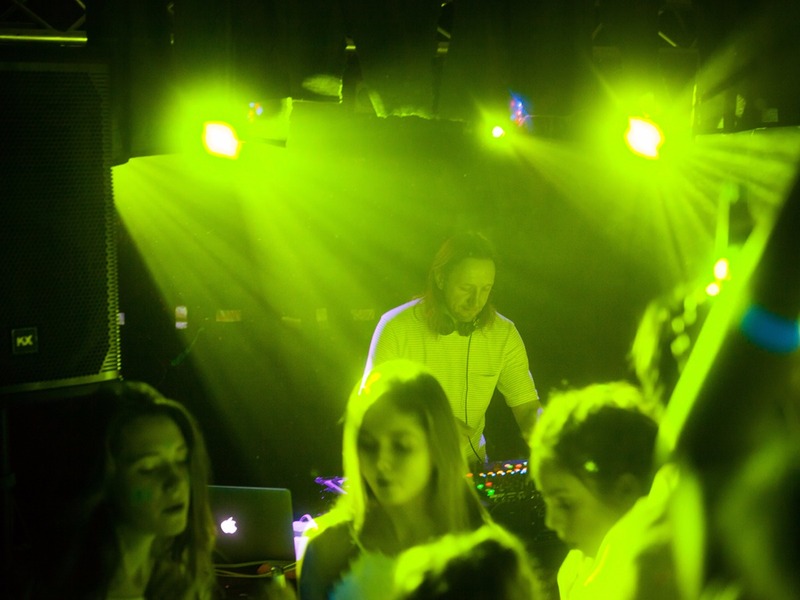 Anthony is a ‘non-cheesy’ DJ, understanding his audiences and their tastes. He has a vast knowledge and a passion for all genres of music and is amazing at reading of all types of crowds. 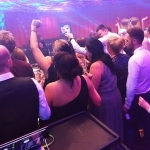 He loves playing music to get the crowd excited - from Soul, Funk, Top 40, RnB, Rock, Indie, 80s/90s, Disco, Electronica, Reggae and everything in between. 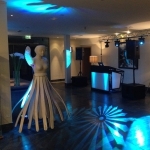 However he will contact you prior to your event and go through your specific musical wishes for the event however eclectic and however you want the night to run. 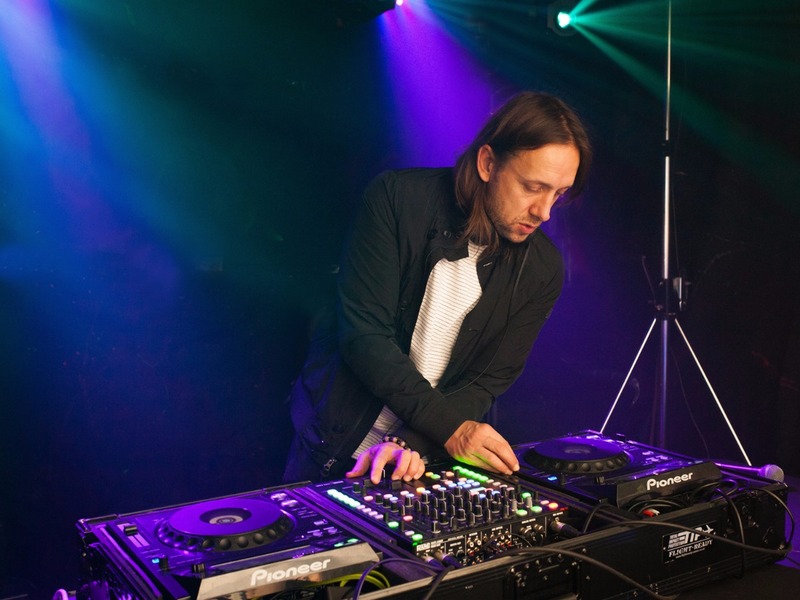 He’ll play a full DJ set as required without breaks. If necessary Anthony can also provide background music beforehand. From bespoke first dances to walk-on music at awards ceremonies, let Anthony know in his pre-event check and he’ll have it ready. He prides himself on customer satisfaction and flexibility working around any changes however big or small and however last-minute to make your day run as smoothly as possible! Anthony dresses for the occasion whether it's a wedding, a black-tie corporate event or a more casual party, just specify your requirements to him. Requiring a space of 3m x 3m is preferable but will accommodate whatever space is available. He is very adaptable to a range of room types and will always adjust volume levels to suit your needs. 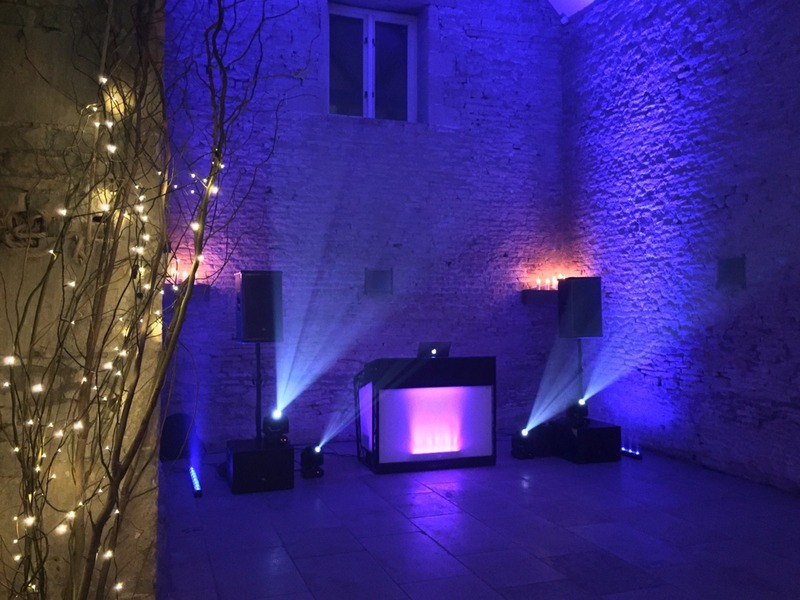 Hiring a brand new VW Transporter van for his gigs ensures reliability, punctuality and a completely professional service in what he does giving every customer the peace of mind whether it be a wedding, party or corporate event. 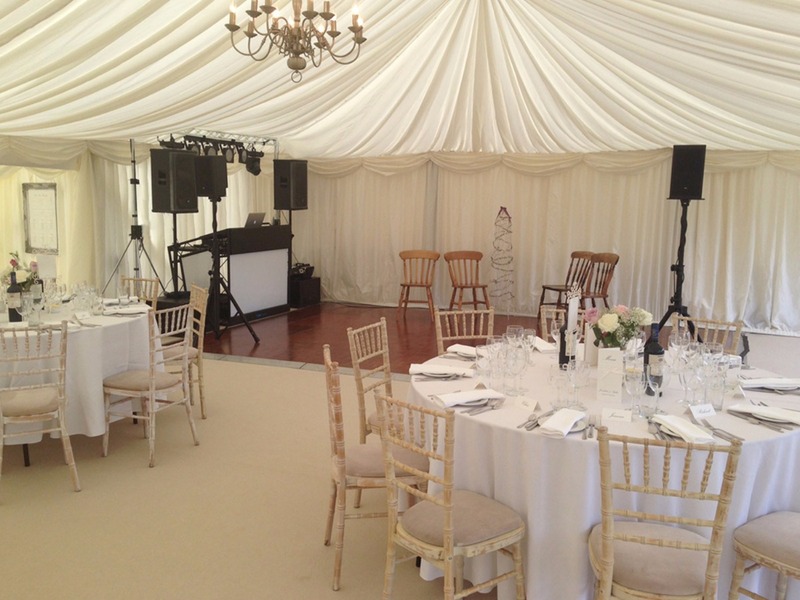 Anthony has been a fixture in some of the UKs most successful venues and private events for clients all over the UK. Birmingham Hilton, St.Davids Hotel Derbyshire, Breadsall Priory, Shottle Hall, Alton Towers, Bisham Abbey National Sports Centre, The Aviator Hotel Hampshire, Warwick Castle, Bolsover Castle, Ruthin Castle, Peckforton Castle..
To Marquees & Teepees, Private Parties, Launch Events, Bars, Clubs, Outdoor Events & Boat Parties..
Nuffield Health, Numerous RAF & Army Bases, Student Freshers & Christmas Balls..
Plus many, many venues & clients far too numerous to list. Just a quick thank you for a fantastic party at our wedding a few weeks ago. I hope you enjoyed it as much as we did! Vikki still can't believe she was on her feet literally all evening, shoes included, the majority of which was spent dancing to a great selection of music and some technically excellent and dynamic mixing. I also can't believe we were dancing almost non stop until 1am, after a very long day. You absolutely nailed it in every respect. 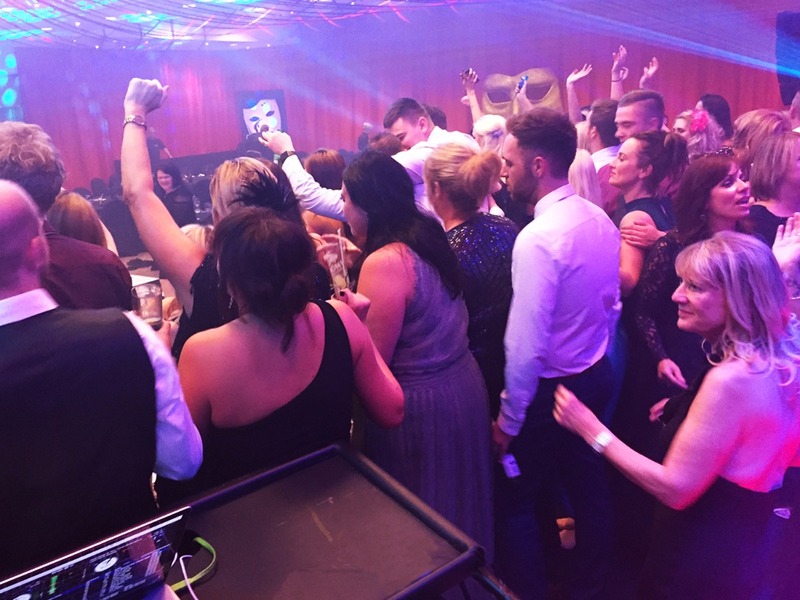 We have had numerous comments from a wide variety of guests complimenting the music selection and performance, also your stamina to keep going for a good 6 hours or more. It was very much appreciated. A band simply wouldn't have delivered such a seamless performance and value for money. All the best! 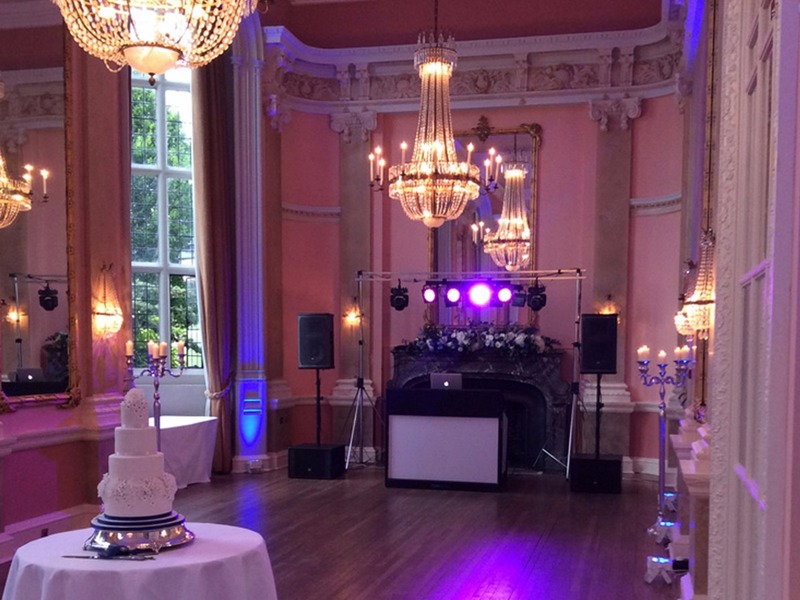 Antony Parella was an amazing DJ at our wedding. 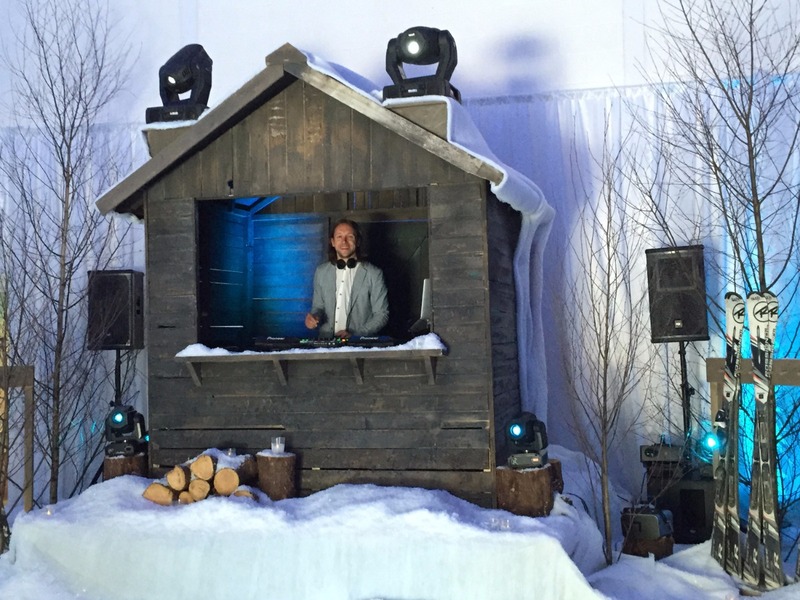 He arrived, set up like a Ninja and played a rather obscure first dance for us without any questions! He knew what to play and was so polite and lovely. I cannot recommend him highly enough. It's hard work and Anthony makes it look so easy - Thanks again!! combined with the latest top of the range Pioneer DJ Mixer & CDJs you are guaranteed a sound that has clarity, depth and volume tailored for any function. 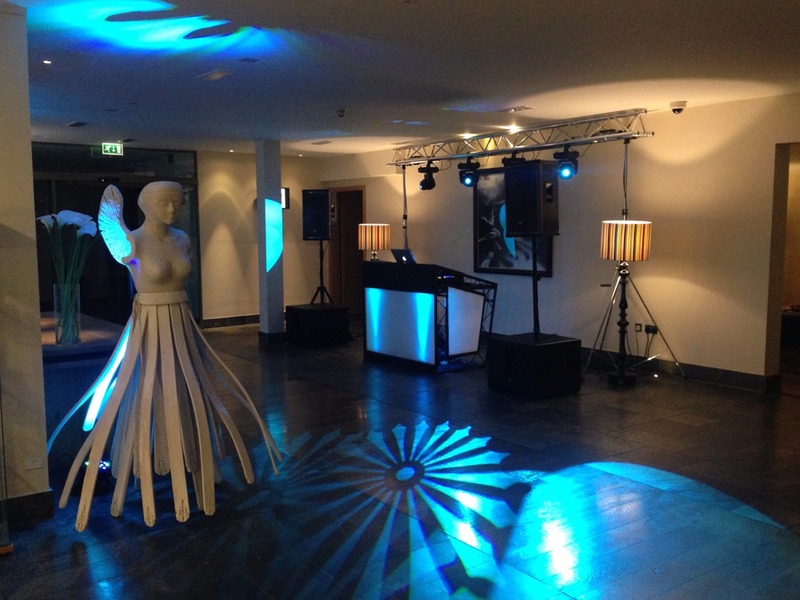 full room/mood lighting as well as lighting for your dance-floor. 1 x Pioneer DJM-900NXS2 Pro-DJ mixer. 2 x Pioneer CDJ-2000NXS2 Pro-DJ multi-player. 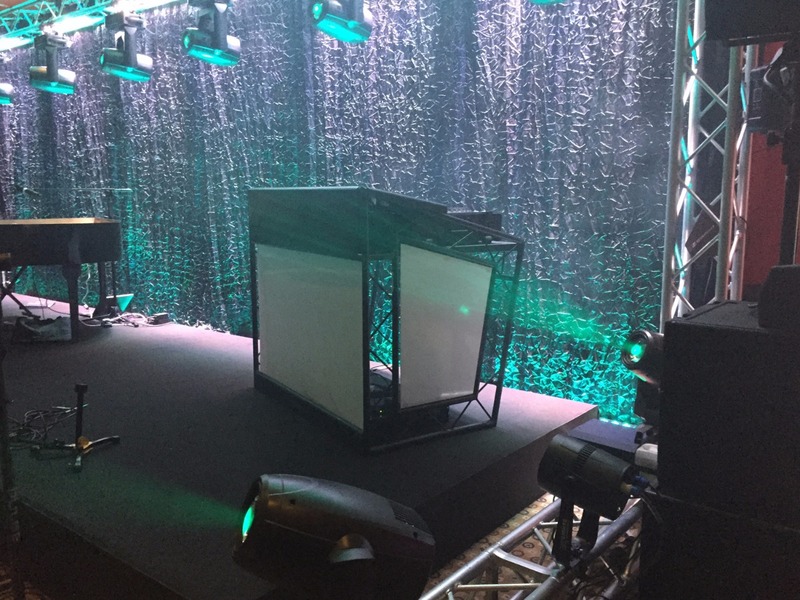 1 x XPRS Black Liteconsole DJ booth/table. All PA Options and extra requirements to be discussed with an Alive Network agent & booked prior to arrangement. 2 x KV2 EX10 Full Range Speakers. 2 x KV2 KX1.2 500W SUB. OR 1 x KV2 EX 2.2 1000W SUB. 4 x KV2 EX10 Full Range Speakers. 4 x KV2 EX 2.2 1000W SUB. 4 x Moving Head Spots. 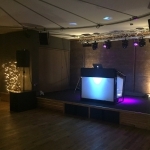 2 x Moving Head Wash.
4 x Uplighters near DJ Booth. 1 x Le Maitre MVS Hazer. 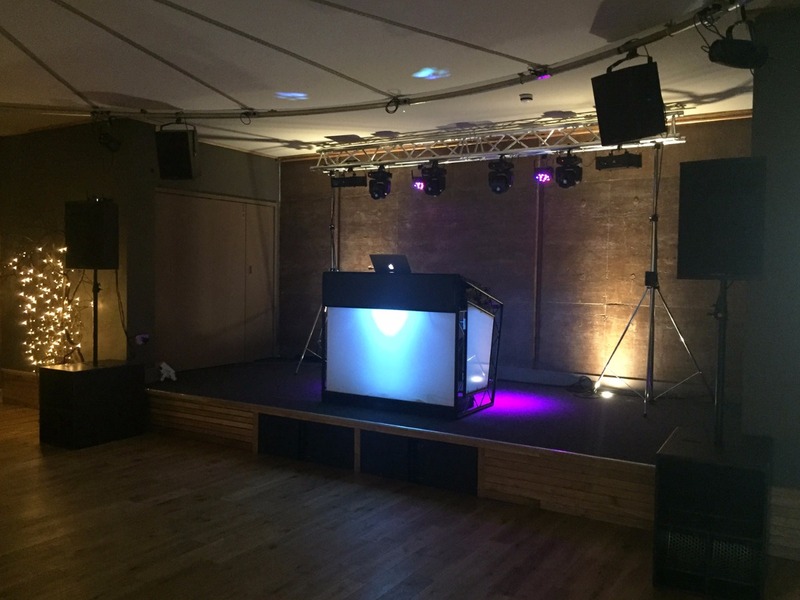 Most indoor venues will not accept smoke or haze machines due to setting off smoke alarms. 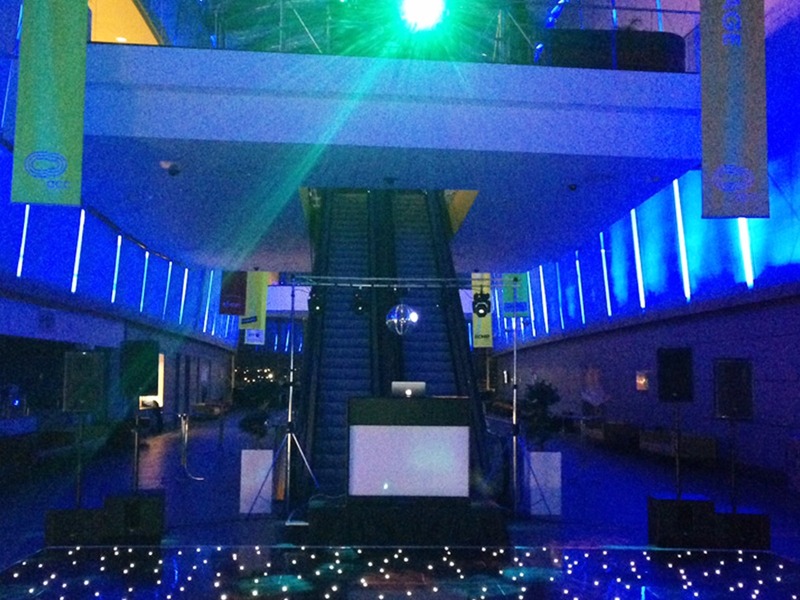 However they can create a great atmosphere when used sparingly with a lightshow. Le Maitre MVS Hazer (Marquee only unless advised). 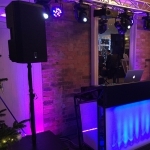 Moving heads mounted on a T-Bar or 1m Truss stands. Larger option 3 Lighting hung from 5 metre Trussing System.